Okay, I get it your busy driving a truck all day and you do not have time to be a health nut. So we make it easy on our CDL Blog for truckers to find interesting ways to eat healthy. After all we all have to pass the DOT Physical. There is no way around the blood pressure test, and if you are lucky you can avoid a cpap mask. When you are driving a commercial truck all day it can get hectic. A packed 53' foot trailer behind you pushing close to 70 mph for 10 hours can leave you with very few options when it comes time to eat. Either put up with the same old greasy cheese burger and fries (yes i love them too), or take a few minutes on a day off to prepare a great meal that can last a couple of days on the road with you. 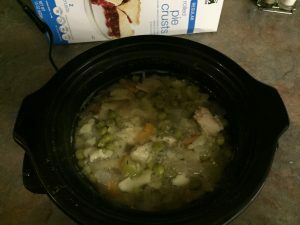 This time for the healthy truck driver we prepared another crock pot recipe that is easy and great to eat. Mix hamburger, sausage and onion in a skillet until lightly browned. Prepare 1 cup of minute rice. Mix this in one pot and leave on low on the stove. While this is happening, clean and boil organic cabbage in large pot for a few minutes until soft. Don't burn your hands! Mix well and fill the cabbage leave full and roll over top. Poor diced tomato and tomato sauce into the crock pot and turn it on high. Roll cabbage stuffed with meat and rice mixture and place evenly across crackpot with two or three layers of rolled cabbage. Then poor a little extra tomato sauce over the top. They are not nice and pretty like the baked ones that use toothpicks to hold them together. 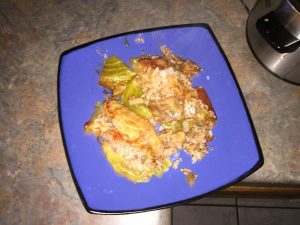 The crock-pot version of stuffed cabbage kinda explodes, but do not worry it tastes even better! You will love it and it is much healthier than eating at the TRUCK STOP! Stuffed cabbage rolls exploded by a crock pot. 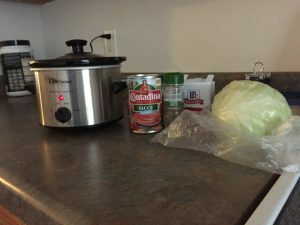 How to make stuffed cabbage rolls in crock pot. Are You Ready to Step Up Your CDL Driving Career? R+L Global Logistics is a world class provider of high quality domestic and international transportation and logistics services, with a reputation for offering the highest quality freight solutions and services to our customers. Across town or around the world, you can count on the experts at R+L Global Logistics to get the job done! R+L wants you to join a team that prides ourselves in delivering an unparalleled tradition of quality and performance to our customers. With this level of customer service comes exceptional employees. If this is the level of service you believe in, then R+L Global Logistics is the right place for you! We are hiring for all types of CDL (commercial driver license) Truck Drivers!! CLICK HERE TO --> Send RESUME NOW !! We need your teamwork to support R+L Logistics !!! R+L Global Logistics is your domestic and international shipping solution. We offer a complete range of efficient transportation logistics and supply chain management services to meet the changing demands of your business. Across the country and around the world, R+L Global Logistics is a reliable partner you can count on to optimize the movement of products across your supply chain – on time, every time. Attention CDL Applicants: Send your RESUME NOW to DRIVE for a first class logistics company!! Healthy Eating Tips for Truckers! All truckers worry about the same thing every couple years… how am I going to pass my Class A CDL DOT Physical? We tell ourselves the same thing every year… I am going to eat right this year. I am going to exercise this year… blah blah blah. And then comes the DOT Physical and we need blood pressure medication because we barely even pass the High Blood Pressure Test. Then come the questions about how do I sleep? Do I snore? Have I ever used a CPAP? I just want to drive my truck. I do not want to worry about DOT Physicals… so what can I do? First make chicken soup in a slow cooker (crock pot). Add some egg noodles if you like, but not required. Then use ready-made pie crust to create lunch for the next couple days. 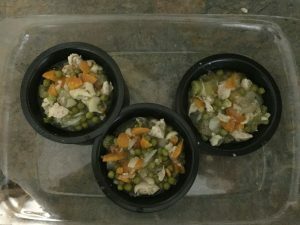 Go to Amazon.com to get mini pie dishes and make miniature Chicken Pot Pies! 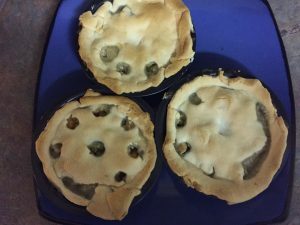 Just poor Chicken Soup into the mini pie dishes and place pie crust over them. You can freeze them just like that, but they work better if you cook them first, then store in frig. 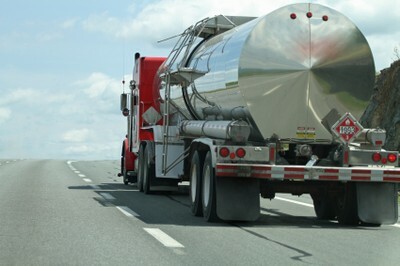 For more information on Tips for Truckers visit our CDL TEST BLOG anytime for tips everything CDL! Fitness Tips for Truck Drivers! Tips for healthy Truck Drivers. Pass the DOT Physical. Want to avoid the cpap mask? Want to avoid sleep apnea? Want to avoid high-blood pressure? Sure most truck drivers worry about that dreaded DOT Physical. Maybe truck drivers could cut down on all-you-can-eat buffets, truck stop junk food, and long hours driving in a seat. But now the truck driver life is what you make of it. It is up to each Truck Driver to turn the tide on OTR health and DOT Physical health regulations. I would rather ME do it, then have the FED make me do it. Think about it, when you stop at the rest stop… go for a walk while drinking a healthy drink. Just make mild changes to everyday activities if you want to make going to the DOT Physical – NO PROBLEM, start taking a walk about 45 minutes to 1 hour of brisk walking 4 days per week. Stop eating drive thru and have fun cooking healthy meals. Cut way back on drinking soda. I'm serious. Stop drinking soda if you can and drink tea or water. Use social media to learn how other truckers cook on the go and eat GREAT while staying healthy. Look for hotels with fitness centers. Try new portable fitness options for your OTR lifestyle…. try social media for healthy trucker trends on twitter. Other truckers will post pictures of how they do it!!! Body weight Squats: Try body weight squats! With your legs and thighs inactive throughout the day, squats are a great way to increase muscles and keep your body active. Plus you burn a lot of calories. Push-ups: Everybody knows the push-up. They work great. Burpees: Try burpees. With a burpee, you get both strength training and aerobics. Cardio: Try running up and down stairs at big hotels. It works! 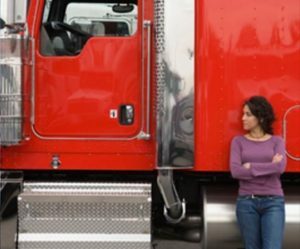 Is trucking an unhealthy career choice? Don’t Forget >> Loading: For some truckers, just loading and unloading can give a great workout. Go for a fast walk around the building after loading and unloading at warehouse. Want Free CDL training from C.R. England? 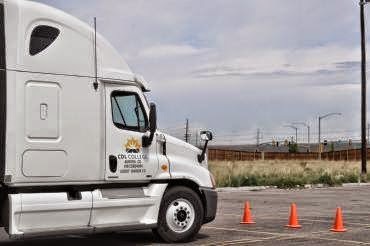 FREE on the job CDL training at C.R. England. C.R. England will hire you to get a CDL! Whether you need a CDL, or a Job as a truck driver, or both; we have you covered. At C.R. England, we train new drivers and hire experienced drivers. We are seeking truck drivers that have a safe and clean record and can handle 12 Gears, 18 Wheels, 40 Tons, 80 Feet, and 400 Horsepower! If that sounds anything like you—Apply Now. Free CDL on the job TRAINING - Apply NOW! 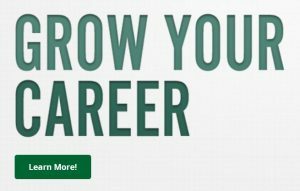 Get your Class A CDL Career on the FAST Track to SUCCESS! C.R. 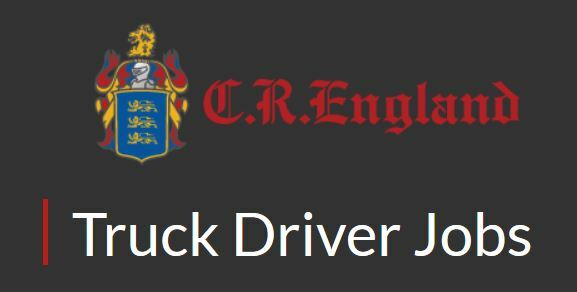 England CDL Training - Better Pay, Home Time, and Miles — Apply Now. Become an owner / operator with a Kenworth Certified Pre-Owned Commercial Truck!! Kenworth is making a shift in marketing by offering a Certified Pre-Owned Commercial Truck program. 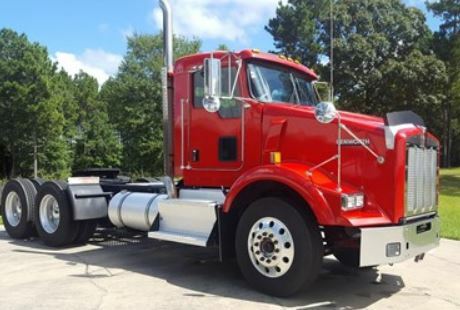 This is great for truckers who are not great mechanics because Kenworth will offer truck buyer's late model, low mileage trucks with engine and warranty coverage. 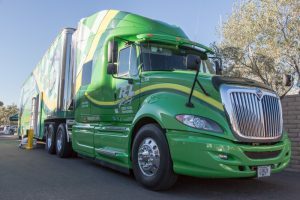 Kenworth trucks are well known for qualify, so marketing used trucks could help both Kenworth and the company driver who wants to become an owner operator. Each Certified Pre-Owned Commercial Truck must undergo a 150-point inspection, which includes engine, after treatment, interior, exterior, chassis, electronics, safety devices and a road test. The trucks must also be certified by a Kenworth dealer technician, carry DOT certification and receive a full diesel particulate filter cleaning and an oil and filter change. This is a new segment for Kenworth who is trying to drive up its profits by offering exceptional quality and an affordable price. The Certified Pre-Owned Commercial Truck program will be beginning soon, so check back with us when we find out the launch date. All new and certified pre-owned commercial trucks will be searchable at www.kenworth.com when the program is launched with information on truck specifications, photos, prices and dealer location. How to Pass Air Brakes during Road Skills and CDL permit test? 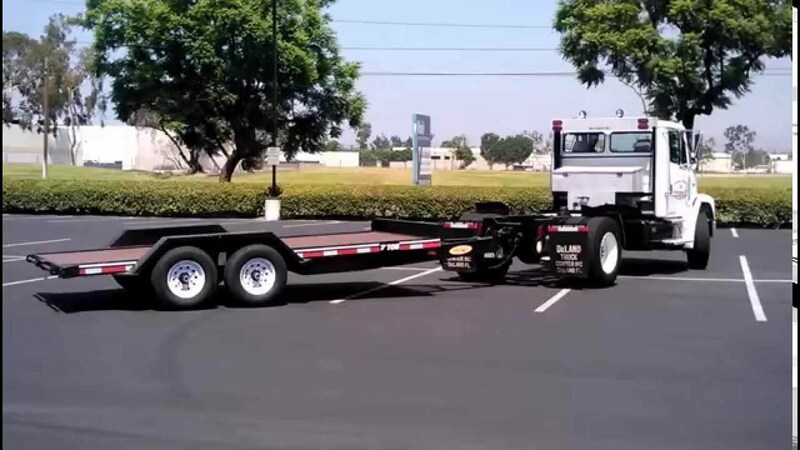 DMV CDL Permit Test. Air Brakes. IMPORTANT – AIR BRAKES HOW to PASS the First Time!!! The Seven-Step Air Brake check is designed to test the governor cut-in and cut-out pressures, air pressure leakage, warning buzzer, brake valves and air pressure rebuild rates. Brakes off means the yellow and/or red valve is pushed in (on = valve out). Engine on / Brakes on – check gauges to make sure governor cuts compressor off at 120 psi. Pump brakes until pressure drops below 100 psi to make sure governor cuts compressor on. Engine off / Brakes off – do not touch brakes – watch gauges to make sure pressure does not drop more than 3 psi in one minute. Press and hold brake pedal – watch gauges to make sure pressure does not drop more than 4 psi in one minute. – warning buzzer should sound at or before 60 psi. Continue pumping brakes until reaching 20 to 40 psi – Emergency (red) and Service (yellow) brake valves should pop out turning brakes on. Rebuild air pressure in tank – hold accelerator at 1500 RPM. Watch air gauges and notice that pressure rate of build between 85 psi and 100 psi should not take more than 45 seconds. Brake only. Tug against Hand Brake only. Test service brake by accelerating to 5mph and pressing brake pedal. If vehicle pulls to one side, this indicates a brake alignment problem. If there is a problem discovered while testing the Air Brakes, do not drive the vehicle. It is your responsibility to make sure it is repaired by a mechanic. Never operate a vehicle that is unsafe to drive. before taking the Class A CDL TEST at the DMV. LEARN THIS AND PASS Air Brake CDL questions on permit and skill Test. DMV TEST ANSWERS –> CDL ENDORSEMENTS PAGE – CDL-TEST copyrighted original - do not redistribute without our consent. Air Brakes test at CDL School. How to Pass Air Brakes Test at DMV? One of the fastest ways to pass the Walk Around, Skills Test, and Road Trip where you prove to the DMV that you know how to operate an Air Brakes system on a semi-tractor and trailer. The DMV is guaranteed to ask questions about Air Brakes Components so know all the pictures and names of components. Also, when talking to the DMV about Air Brakes you can memorize the 7 Step Air Brake Check. If you say it exactly or close to it, they will pass you for DMV air brakes knowledge. You can find the 7 Step Air Brakes Check Here. How to Pass an Air Brakes Test at the DMV? DMV CDL Skills Test - Pre-Trip Inspection, walk-around, Road Trip. Know any images / photos with different air brakes parts named. Be prepared to name each Air Brake part. We provide free online CDL practice tests for air brakes endorsement test. Try our free Air Brakes practice test so you know how the website works. There are many parts to a tractor-trailer air brake system. 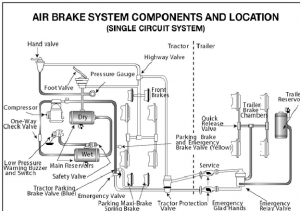 It is important to understand all air brakes parts and what they do. Air tank with Manual Draining Valve for Air Brakes Test - CDL. Figure 4-1 Air Tanks Drains using the Manual Draining Valve on bottom of the Air Tank. Manually operated by turning a quarter turn or by pulling a cable. You must drain the tanks yourself at the end of each day of driving. See Figure 4.1. Automatic air tanks are available with electric heating devices. These help prevent freezing of the automatic drain in cold weather. See Figure 4.1. You put on the brakes by pushing down the brake pedal. (It is also called the foot valve or treadle valve.) Pushing the pedal down harder applies more air pressure. Letting up on the brake pedal reduces the air pressure and releases the brakes. Releasing the brakes lets some compressed air go out of the system, so the air pressure in the tanks is reduced. It must be made up by the air compressor. Pressing and releasing the pedal unnecessarily can let air out faster than the compressor can replace it. If the pressure gets too low, the brakes won't work. 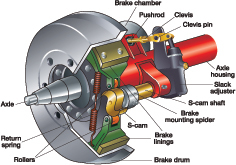 Air Brake Test CDL - Drum Brake picture with list of parts. 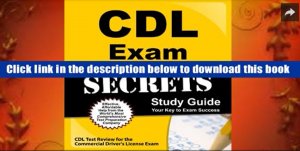 Figure 8-2 Drum Brake Air Brakes Parts List must know on the CDL TEST for Air Brakes Endorsement and on the DMV Skills Test, Road Trip and Pre-trip parts of DMV TEST. Brake Drums, Shoes, and Linings. Brake drums are located on each end of the vehicle's axles. The wheels are bolted to the drums. The braking mechanism is inside the drum. To stop, the brake shoes and linings are pushed against the inside of the drum. This causes friction, which slows the vehicle (and creates heat). The heat a drum can take without damage depends on how hard and how long the brakes are used. Too much heat can make the brakes stop working. S-cam Brakes. When you push the brake pedal, air is let into each brake chamber. Air pressure pushes the rod out, moving the slack adjuster, thus twisting the brake camshaft. This turns the s-cam (so called because it is shaped like the letter "S"). The s-cam forces the brake shoes away from one another and presses them against the inside of the brake drum. When you release the brake pedal, the s-cam rotates back and a spring pulls the brake shoes away from the drum, letting the wheels roll freely again. See Figure 8.2. Wedge Brakes. In this type of brake, the brake chamber push rod pushes a wedge directly between the ends of two brake shoes. This shoves them apart and against the inside of the brake drum. Wedge brakes may have a single brake chamber, or two brake chambers, pushing wedges in at both ends of the brake shoes. Wedge type brakes may be self-adjusting or may require manual adjustment. Disc Brakes. In air-operated disc brakes, air pressure acts on a brake chamber and slack adjuster, like s-cam brakes. But instead of the s-cam, a "power screw" is used. The pressure of the brake chamber on the slack adjuster turns the power screw. The power screw clamps the disc or rotor between the brake lining pads of a caliper, similar to a large c-clamp. On large buses it is common for the low pressure warning devices to signal at 80-85 psi. Some older vehicles (made before 1975) have a front brake limiting valve and a control in the cab. The control is usually marked "normal" and "slippery." When you put the control in the "slippery" position, the limiting valve cuts the "normal" air pressure to the front brakes by half. Limiting valves were used to reduce the chance of the front wheels skidding on slippery surfaces. However, they actually reduce the stopping power of the vehicle. Front wheel braking is good under all conditions. Tests have shown front wheel skids from braking are not likely even on ice. Make sure the control is in the "normal" position to have normal stopping power. Caution. Never push the brake pedal down when the spring brakes are on. If you do, the brakes could be damaged by the combined forces of the springs and the air pressure. Many brake systems are designed so this will not happen. But not all systems are set up that way, and those that are may not always work. It is much better to develop the habit of not pushing the brake pedal down when the spring brakes are on. Dual Parking Control Valves. When main air pressure is lost, the spring brakes come on. 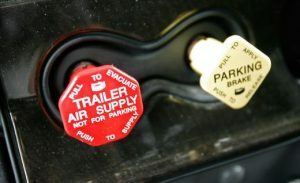 Some vehicles, such as buses, have a separate air tank which can be used to release the spring brakes. This is so you can move the vehicle in an emergency. One of the valves is a push-pull type and is used to put on the spring brakes for parking. The other valve is spring loaded in the "out" position. When you push the control in, air from the separate air tank releases the spring brakes so you can move. When you release the button, the spring brakes come on again. There is only enough air in the separate tank to do this a few times. Therefore, plan carefully when moving. Otherwise, you may be stopped in a dangerous location when the separate air supply runs out. See Figure 15.3. You must know the names of the knobs and how they all work. It is extremely important part of being a professional truck driver so get ready to memorize it all and learn it. If you do not learn the air brakes components prior to driving a commercial vehicle you are considered an unsafe driver who needs more training. See Figure 15.3. ABS is an addition to your normal brakes. It does not decrease or increase your normal braking capability. ABS only activates when wheels are about to lock up. The computer takes control of braking by rapidly apply brakes pressure. Are front wheel brakes good under all conditions? True or False? Get the answers to these questions and more by reading this web page and memorizing the pictures and names of Air Brakes components. Be prepared to understand the air brake parts on both the CDL Air Brakes test questions and demonstrated knowledge of the air brakes and how they work on the Road Trip and Skill Test and Pre-Trip. 1. 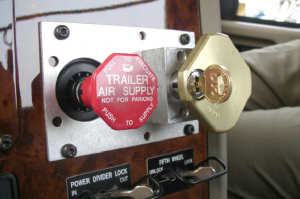 It is mandatory that all vehicles with air brakes have a low air pressure warning signal. 2. You can check slack adjusters by ______? 3. By using an adjustable wrench? D. Breaking on a long steep downgrade should be used only as a supplement to the braking effect of the engine. 4. Air tanks should be drained_____. 5. A supply pressure gauge is used for ______. 6. What is the reason that air tanks must be drained? 8. You don't need to use the parking brake if you are away from your vehicle for only a short time. 9. ______ is known as slack adjusters? 10. Front wheel brakes are good to use under all conditions? 11. Spring brakes are ______? *A. Powerful springs that are held back by air pressure. If the air pressure is removed, the springs put on the brakes. B. Big springs full of air pressure. If the air pressure is increased, the springs put on the brakes. C. Large springs forced closed by air pressure. If the air pressure is increased, the springs release on the brakes. 12. Why should you be in the proper gear before starting down a hill? 13. A dual air brake system is best described as______? A. dual air brake system has two separate air brake systems; the first system is called the primary system. The other is called the secondary system. C. dual air brake system has two separate air brake systems, both systems supply air to the trailer if there is one. D. dual air brake system has two separate air brake systems, each system has its own air tanks, hoses, lines, etc. 14. What is the method used to check that the spring brakes will come on automatically? *A. Step on and off the brake pedal to increase the air tank pressure, the parking brake knob should pop out when the air pressure rises to the manufacturer's specification. B. Step on and off the brake pedal to reduce the air tank pressure while moving at a high rate of speed, the parking brake knob should pop out when the air pressure falls to the manufacturer's specification locking up all your tires. C. Step on and off the brake pedal to reduce the air tank pressure, the parking brake knob should pop out when the air pressure rises to the manufacturer's specification of 120 psi. D. Step on and off the brake pedal to reduce the air tank pressure, the parking brake knob should pop out when the air pressure falls to the manufacturer's specification. *E. Turn the electrical power on and step on and off the brake pedal to reduce air tank pressure. The low air pressure warning signal must come on before the pressure drops to less than 60 psi in the air tank. F. Turn the electrical power off and step on and off the brake pedal to reduce air tank pressure. The low air pressure warning signal must come on before the pressure drops to less than 30 psi in the air tank. G. Turn the electrical power on and step on and off the brake pedal to increase air tank pressure. The low air pressure warning signal must come on before the pressure increases to more than 60 psi in the air tank. H. Turn the electrical power off and step on and off the brake pedal to reduce air tank pressure. The low air pressure warning signal must come on before the pressure drops to less than 90 psi in the air tank.